Metal Wine Stopper in Silver. 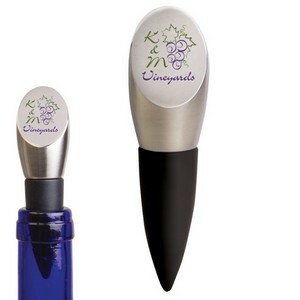 Features your logo imprint in 1 or 2 colors. Makes a nice remembrance of your event. Imprint Area 3/4in. x 3/4in. Item Size 1in. x 1in. x 3 3/4in. 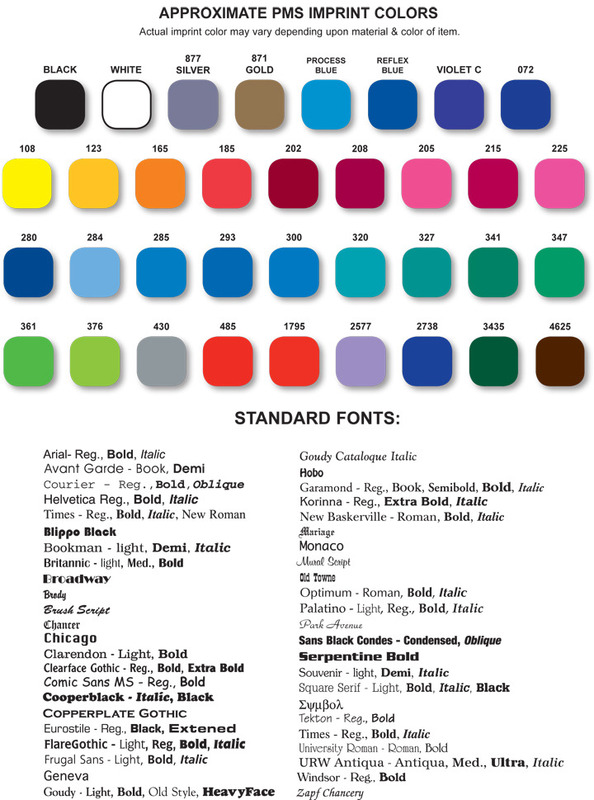 Price includes: 1 color-1 location imprint. 2 Color imprint Max. Additional color add another set up fee and a run charge of $.30 per color. Overruns/Underruns: All orders are subject to 5 Percent overruns and /or underrun.You will be charged for quantity shipped. For exact quantities, add $30.00. Rush Service May be Available - 2 Business Days - NO IMAGE PROOF - Signed Order Acknowledgment and good .eps vector artwork must be turned in prior to 11:00 AM EST in order to qualify for 2 day RUSH Production. Orders turned in after cut-off will ship in 3 business days. NO EXCEPTIONS The factory may not accept RUSH Orders after December 1 - Inquire. A RUSH FEE OF $100 will be charged.